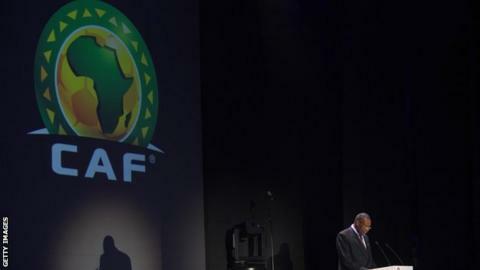 The official dates for the 2015 Africa Cup of Nations in Morocco have been confirmed by the Confederation of African Football (Caf). The distribution of groups, and their locations, has also been announced. Group A will be based in Marrakech, the city that will host the opening match. Group B will be based in Agadir. Rabat will host Group C, as well as the cup final itself. Group D will be in located in Tangier. The final draw for Morocco 2015 will be held in Rabat on 26 November. The change in the dates means the event will be extended by one day. It has come about because, unlike in previous Africa Cup of Nations where both semi-finals have been played on the same date, the organising committee has decided to split the two matches in Morocco. They will now be played on 4 February and 5 February. There will only be one fixture on the opening day in Marrakech - the first match of Group A. The second fixture of Group A will be played on 18 January. Two Group B matches will also be played on 18 January. The draw for the final round of qualifiers for Morocco 2015 takes place at Caf's headquarters in Cairo on Sunday 27 April.